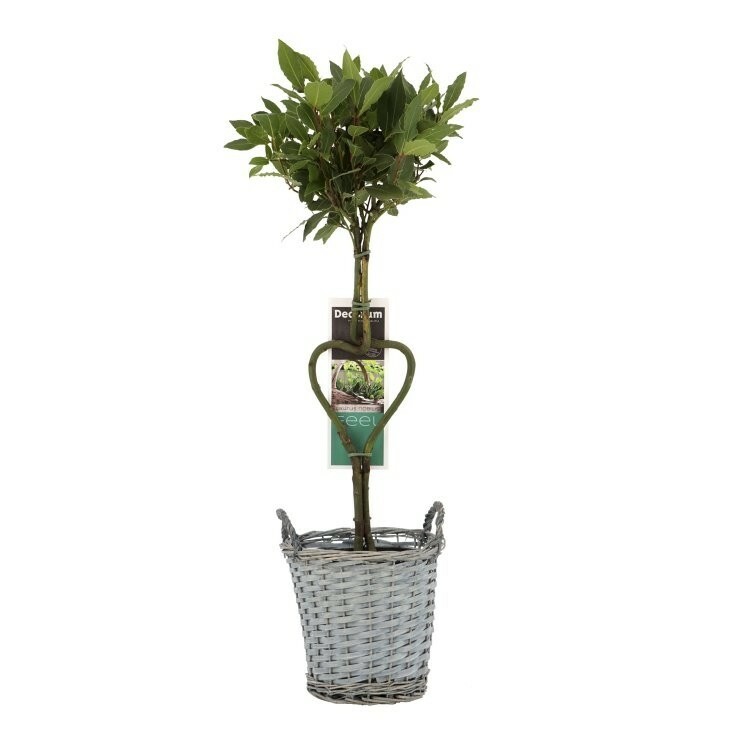 A cute bay tree trained in to an unusual form, and nestled in a white basket ready for the lucky recipient. A handsome addition to any garden, being attractive the whole year round, this very special bay tree will become an instant talking point given the special form it has been given. The stems have been trained up in to a special Heart shape part way up the clear stem before they continue straight up again to a head of the usual bay foliage. Taking time and effort to create, this tree is ready to be enjoyed, it will create a stylish focal point on the patio, looking very stylish and great as a balcony or terrace plant and of course near the kitchen for use in your favourite dishes. Attractive Bay Tree standards can be paraded formally in groups or as pairs beside a doorway or next to a flight of steps. This special Heart shaped trunk form adds a really unusual extra dimension to your display. Easy to grow and fully hardy, it may be pruned to keep it small or fashioned into an imposing specimen. Alternatively use this lollipop tree on its own to create a stylish focal point in the garden or in a container on a patio or terrace. Do remember of course to always keep within easy reach of the kitchen door for your own supply of fresh bay leaves to flavour your home cooking! The glossy leaves are deliciously aromatic and can be picked and used in the kitchen in any number of dishes. 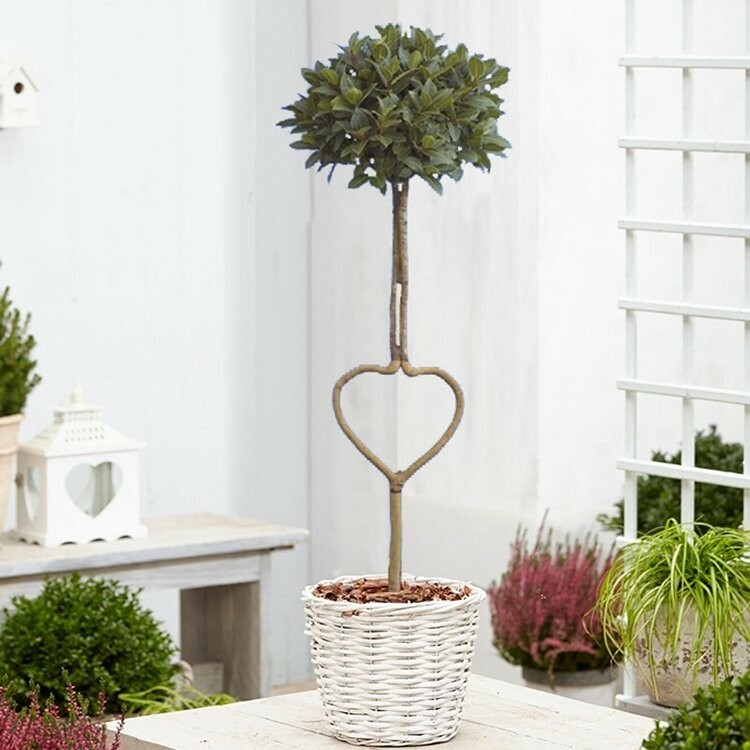 This Heart Form Standard Lollipop Bay Tree is supplied as a bushy head on a nice stem with an overall height of approx 70cms, complete with white display basket.